Dr. Phanraksa received Ph.D. degree in laws from the University of Washington, Seattle, in 2005. 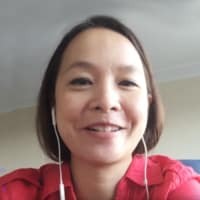 She is currently with the Technology Licensing Office, Technology Management Center at the National Science and Technology Development Agency, Pathumthani, Thailand, as a manager of the Intellectual Property Policy group. She has involved a number of research projects, with a focus on intellectual property management and technology transfer such as the benefit sharing policy from intellectual property commercialization project; the interface between intellectual property and anti-trust laws project; and the access and benefit sharing for biodiversity in research and development institute in Thailand project. She also serves as the working committee for the University-Business Incubation (UBI) Project and the Technology Licensing Office Promotion Project of the Higher Education Commission; and the Thai Patent Law Amendment of the Department of Intellectual Property, the Ministry of Commerce Thailand. Recently, she has engaged in a national research project with the National Science, Technology and Innovation Agency to develop a policy framework to promote the role of Small and Medium Enterprises (SMEs) in research and development in Thailand. When great ideas come to pass, researchers always find that there is an entire path to take that goes beyond discovery, and that is where Orakanoke Phanraksa and her team of Intellectual Property experts come in. Working with the National Science and Technology Development Agency in Thailand, Orakanoke is a member of the Intellectual Property Policy group, overseeing the creation of patents and the development of this field. IP procedures are a major part of the scientific process, often overlooked until the time to file a patent comes. As co-chair of the Global Young Academy, Orakanoke works tirelessly to introduce Intellectual Property education to new professionals in the scientific field, opening new opportunities for both business and academy. As a strong representative of the Asian scientific community in the GYA, Orakanoke aims to inject the values of her culture to the realm of interdisciplinary projects and increase the presence and value of IP concepts and applications in both researchers and Thai citizens. Orakanoke Phanraksa: Good morning, Nerina. Nerina: Thank you so much for joining me. Could you please introduce yourself? My name is Orokanoke Phanraksa. I’m originally from Thailand. I work as an intellectual property lawyer at the National Science and Technology Development Agency; we call ourselves NSTDA. NSTDA is under the Ministry of Science and Technology in Thailand. Nerina: What is your main work focus? Orakanoke: Ok. So during the first, let’s say, five years, I’ve been providing intellectual property related advice to in-house researches, as well as to universities who received a funding from NSTDA. But later on, I had the chance to get involved with many national projects, including university test incubators, and university licensing office projects and that has allowed me to move further to work on IP related policy at a national level. Nerina: Dealing with intellectual property, you move between research and business right? Orakanoke: Look at it this way. At NSTDA, I’m working for the Technology Licensing Office; there, part of my job has been prosecuting the protection of research outcome at NSTDA, and later on, when we find potential customers or licensees, a contract will come back to my team to help review the contract in order to make sure that the research form the public sector could be properly licensed out to the private sector, and that’s how the research has been commercialized from NSTDA to the society. Nerina: What are the challenges from a researchers’ perspective and from a business perspective? Orakanoke: In the context of Thailand, this includes trade elements: the researchers, technology licensing officers and industry. Starting from the researchers themselves, it also involves the funding system, because in the beginning, if the funding doesn’t really focus on application, it’s really difficult for the middle person, like my office, to try to push the technology to the industry. Also, oftentimes we’ve found out that the researchers are very proud of their babies; they believe that they could be used right up front, with the need sort of upscaling to make sure that it could be applicable at the industrial site. There’s a lot to do with the mindset and understanding from the researchers’ side. As for the technology licensing officers, sometimes called licensing agents, in Thailand, it is kind of an emerging career. In other words, we don’t have many experts in Thailand, in particular when talking about intellectual property licensing, or international deals, as well, so the language could be a barrier, so that’s why at the moment, it’s being promoted as a career path and capacity for people in this field. Moving to the third element, which is industry; because I work for the government, and therefore the government is trying to promote the transfer of technology to SME’s – small and medium enterprises -, not large scale, and therefore, there is a need in Thailand to catch up with what is ongoing. They normally expect cheap or free technology from the government because they believe it is from the tax money, but nonetheless, we invest a lot in our research, and therefore, there’s a lot to do with educating our industry, and also the capability of the industry itself because, in order to use our research, it’s important for them to really learn, not just to buy out, like in the past, or get it for free without any charge. So that’s what I see happening. Nerina: In your opinion, what are the steps or the changes that Thailand needs? Orakanoke: At the moment, our current government is trying to promote the increasing numbers of patents filed by Thai nationals. There are three types of patents: patent invention, patent design, and petty patents. In Thailand, statistically, the design patent is the top one that many Thais have been flying, but in many developed countries, the file reports on the patent invention are more complicated, so when we look at the statistic of the Thai national filings, we find that we couldn’t really catch up with the foreigners who filed the patent inventions in Thailand. Because of that, our government is trying to explore better ways to motivate Thais, not just scientists, to find more protection on patent inventions. I would say that for my office, which is under the Ministry of Science and Technology, we are finding this as a challenge because authority believes that we should be able to be a focal point to help build awareness of intellectual property rights, but at the same time, we also see that the Ministry of Commerce would help, and we work closely together to help build awareness. But most importantly, there’s a lot to do with the research system in Thailand, because to come up with the great inventions, you need to come up with a systematic continuity of the funding because you cannot produce something within a year without a value. It may happen, but to find a bridge to technology requires lots of investment in R&D. Nerina: If you had the power to change something tomorrow, what would it be? Orakanoke: Regarding what my team and I have been working on, we have been insisting on trade elements. This is even with the proposal of our government. We’ve talked about intellectual property in the context of developing countries; I believe that human capital is the most important element, because it takes years for a licensing agent or a patent agent to become a professional, and therefore we insist in investment on human capital in this field. We would like our government to help promote the career path and capacity building of intellectual property professions in Thailand, and I would say that not just in Thailand, because we grow together. Thailand is part of the ten ASEAN countries in Southeast Asia so this is what my team in NSTDA has been working together with other colleagues in ASEAN. So there is the element of human capital, but researchers are also important. When we talk about researchers or scientists in Thailand, we also include those who work in the academic environment, and when you talk about the academy environment, the main pillars are to teach, and clearly societal engagement, but also to do research. How could they have sufficient time to do research in addition to an overwhelming teaching load? So with that in mind, we also would like to propose to our government to revisit the current curriculum, because when we talk with our colleagues from developed countries, they teach for about an hour for one subject. Why teach three hours for one subject? With that kind of time requirements, you also need extra time for preparation for your class, it is quite a challenge for the academicians to have enough time to do good research. That covers the insufficiencies of time for our researchers. Now I have covered human capital, professionals and researchers. Next is the research funding. I’m aware that funding issues are everywhere, not just in developing countries, but to have a clear direction, and also to promote continuity is very important. It’s not just about changing the policy every year; it’s important to have a good national research plan, and also sufficient patent funding for the researchers. Eventually, we see that the ecosystem is important, so education for Thais is also important. It’s not just about turning students into professionals, but Thai citizens, including the industry, need to be educated as well. Nerina: And how did you get into this field of studies? Orakanoke: Well, it was not my plan to become a lawyer. I originally wanted to be an artist; I love arts and painting, but it’s about the University process in Thailand, where you are allowed to choose five departments that you would like to go through. I chose Arts at the beginning, but then because of my family – my dad and my grandfather -, they were judges, so I was interested in following their path. On the one hand, I had been seeing that career since I was young, so I wanted to find something different, but on the other, I also see that it is such a respectful career, to be a judge. I tried to go somewhere in between, to choose a legal path, but not exactly that which my dad is. I tried to contribute one way or another to work in the public agency and help provide advice to researchers, rather than being a businessman or a judge like my dad. Nerina: As a lover of art and a lawyer, how do you combine these two passions? Orakanoke: Being a lawyer is not completely separate from being an artist, because being an artist you also need to observe people, and a bit like a scientist, I study people and their backgrounds to make sure they get the best advice, but I also study who they are. As someone who wanted to be an artist, whenever I work with other scientists I look at them as persons. This has somehow taught me to learn to get to know people better. Nerina: A very interesting perspective. How did your culture and your background help you on your journey? Orakanoke: I would say that growing up in the Asian culture environment helped a lot because we are bonded together and we often remain together. This is a case of other people, as well. I’m the middle child, and when we went to school when we were young, it was my dad who gave us a ride every day; the traffic in Bangkok was really bad, so it could take you up to two hours one way, so when we got stuck in traffic I would do my homework in the car and ask my dad for questions or tutorials in the car, and that’s how I grew up. That’s how things were with my family, and you can see that we spend time together, we have dinner together; it’s not forever, but I saw my parents raise three children up and that is how our culture plays into our children, into the people in Thailand, and I’m sure you’ve seen many Asians traveling overseas, but at the end of the day, they would love to come back to their home country, and this is the case for many Thai people. Nerina: Is there something special that the world could learn from Thai culture? Orakanoke: I would say that being considerate is the first thing because these days the world is so small. You connect to people and to be more considerate, to think about others is the way to be, because can you imagine if people became more considerate towards each other? Nerina: You are an alumna of the Global Young Academy and you were a co-chair. Can you tell us a little bit about this? Orakanoke: I’m not the champion co-chair, because it was not my intention to run for this position, it’s just only that I want to contribute to the scientific community, since it’s such a great community, as you may have observed. I also have to thank the GYA, because it has allowed me to meet many great people, not just at the same pier, but also at the higher ranking authority and this has allowed me to speak in front of a public, and normally I’m a quiet person. It’s also allowed me to really learn and hear advice from our advance report members, who are so recognized at an international level. It’s given a great connection to key people in different continents, because for someone in Thailand, how could you reach out to people in Latin America, in Africa, in particular, if you talk about collaborations between Asia and Latin America? They’re so far away from each other, and the GYA allows me to reach out to friends in other continents, and in return, I’m not here to just gain. It’s important to me, and I believe I would advise other scientists or GYA members, to learn to return or give back to the GYA. Whenever I travel, I try to see what else I could bring back to my desk here in Thailand, and also Asia, and that’s how I reach out to other connections and make sure that things work. That things that never existed before, I try to make them happen, just because I see that certain groups are out there, so why not make it happen in my own region? Nerina: What is the most important lesson you have learnt? Orakanoke: I enjoy seeing that it’s such a beautiful thing being with the GYA to learn, to be with different cultures, backgrounds, and disciplines, but the fact that to believe that you know people enough? It has never been enough. Because the rest might be aware that in working with Asians, Asians don’t speak out. We are quite shy, but as a matter of fact, it comes to the individual basis: people are different. Language-wise, even though you understand English, it comes to each individual person; you really learn to work with people. Of course, working with a big community means there could be many disagreements, and you need to learn to work with people, so I have learned to be very diplomatic in order to make things work. That is how the leader or the co-chair needs to work things out because otherwise, you can’t really move things forward. So, I would say it has, by measure, taught me to learn to really be diplomatic, to really work with people from different disciplines and cultures. Nerina: How do you see the role of researchers in driving change? Orakanoke: To make a change, there are many levels. You don’t have to go big right at the beginning, because, for example, I see myself as a working ant, and you need to have a great group of working ants to make things happen. Also, priority and progress are important; you may want to solve many problems in the world, but it’s important to learn what is your first priority, what are you capable of because otherwise, you are achieving nothing. Having worked with the GYA, I learned to share my experience with other junior GYA members, so I often ask them ‘what are you passionate about?’, because whenever you work from your heart, it tells you the direction to the next step. I always found myself wanting to do many things, but at one point, you find that you need to choose, and that is what tells you that you can make change bit by bit, but just pick the right project, and if you don’t find the right one, you have the right to change as well. Nerina: How about you? What is next for you? What is your passion? Orakanoke: My passion is still with human capital, because having worked with the GYA, I get involved with a group of young scientists, so I’ve been working with ASEAN’s Science Leadership Program in Asia; that is a scientific community, and when we talk about ASEAN it includes only ten countries, but now I’m trying to move to include East Asia and even Australia, New Zealand and India. That’s what I’m working on at the moment for a group of scientists, but at the same time it has been my dream to inject the element of intellectual property rights to this group of young scientists, because apart from what I’m doing with the GYA, or young scientists or national young academics, I’m also directing another project, where NSTDA has been working with world intellectual property organizations. We call this project the IP Environment; this is a project in Southeast Asia, so we are trying to work together with IP professionals in Thailand, and trying to connect them with other countries in ASEAN. Whenever we at NSTDA, or other organizations, are hosting on this theme, we can invite some people from other communities to be our guests, but the big challenge for me is that many members from the National Young Academy or Global Young Academy are academicians, so IP may not be their interest at the moment. But sooner or later, it will be the key element in their lives, so I try to find a proper timing to inject this element into their daily lives. Nerina: What do you like doing when you are not working? Orakanoke: Work has become my life, and I don’t really have much of a personal life. Even now, being on vacation, I’m looking to work some more, because I see that there’s a lot to do, and it’s the right timing when you’re capable of making a change, so I say that whatever big part I can do, I’ll carry on with work. Nerina: What is a personal dream? Orakanoke: Having been traveling a lot over the past few years, I would prefer to stay home and spend time with my family, with my dad, my brother, my sister, and my dog. I often joke with my friends that my dog, a beagle, is one of the success factors in my life. Nerina: Who is Orakanoke in three sentences? Orakanoke: For those who don’t know me, I’m someone who works very hard, for whom work is her life, but people often come to her as a solution provider, despite her expertise as an intellectual property lawyer or as a friend, who will try every bit to help and solve the problems for you. Nerina: Thank you so much, Orakanoke, for this conversation. Orakanoke: Thank you a lot, Nerina. I had a great time talking to you this morning, so I hope you find some inspiring information from my story. Thank you. Nerina: Thank you so much, and thank you for watching, thank you for listening, and thank you for sharing. Keep wondering and see you next time again. Goodbye and ciao.